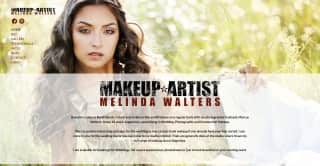 Melinda Walters is a makeup artist specialising in photographic makeup. She has been involved in each step of photoshoots, from styling, hair, makeup and conception. Her website needed to be made mobile-friendly with the design due for an update. This site was a partner site to the one for Marcus Walters and a lot of the work done for that site was included in the rebuild of this site with Melinda again providing direction as to certain design decisions.